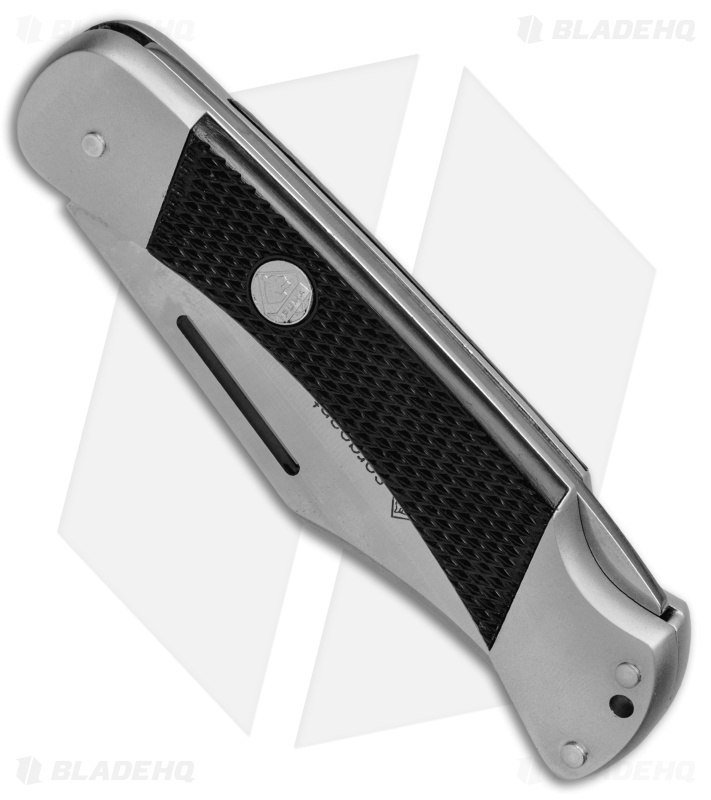 The Puma Sergeant folding knife offers a compact EDC design, built for managing any daily cutting task. 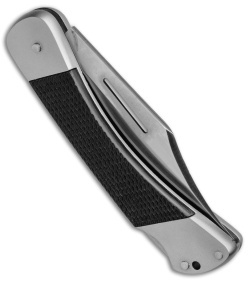 Handmade in Solingen Germany, the Puma Sergeant features textured black ABS scales with nickel silver bolsters and a steel lockback mechanism. Puma's meticulous manufacturing process all but guarantees a perfect fit and finish that will stand the test of time. The blade is made from German grade 440A stainless steel with a hollow grind and a satin finish. 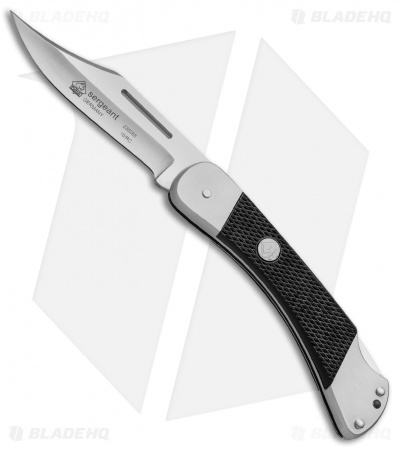 German grade 440 stainless steel provides a sharp, corrosion resistant blade. 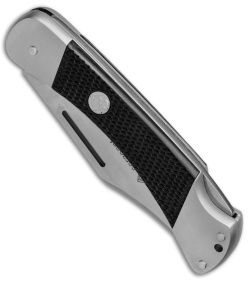 Blade opens with a nail nick and locks up solid with a lock back mechanism. Textured ABS handle scales offer a reliable grip in difficult conditions.